I was thinking the other day while I was watching my vibrating polisher work on my tarnished Sterling Silver beads. It’s almost hypnotic the way the process works. Through the use of stainless steel shot of various sizes and shapes in water (and a little soap), this machine agitates and uses high-speed oscillation to polish the silver clean. 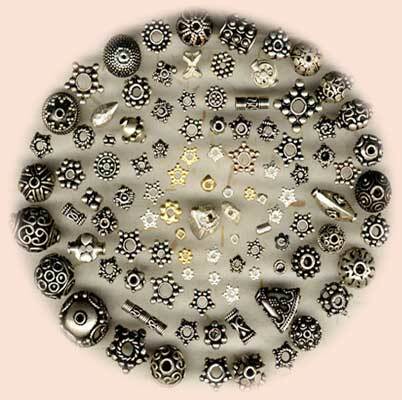 The stainless steel media, some of it pointy and sharp, some of it rounded, works it’s way repeatedly into every nook and cranny of the beads especially the spots where a polishing cloth could never reach. The process is not a passive one – the beads and shot move continuously and wear on each other during the cycle in a frantic cleansing dance. We, too, cannot be improved without trouble and agitation. Trials and problems wear on us like the polishing media does on the beads. Sometimes we may get pulled under the surface and feel like we’ll never surface again. But we do finally emerge, shinier and polished – and better for having made it through the polishing process as shinier beads and stronger people.